Running, jumping, stretching and turning using different pieces of equipment: gymnastics is about moving your body more smoothly. 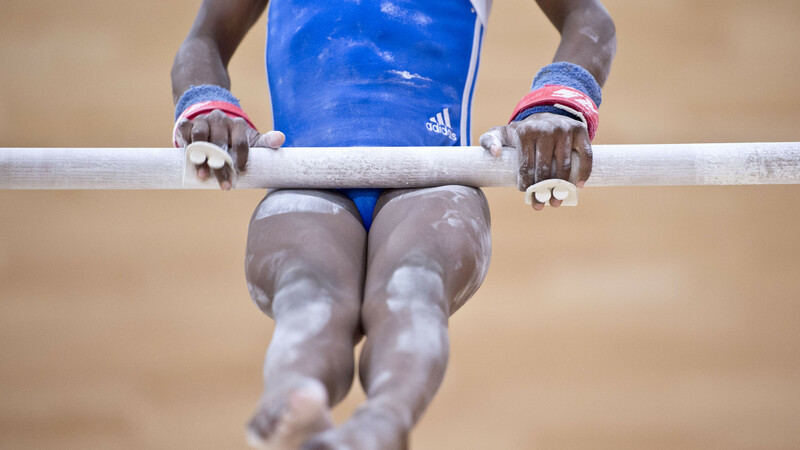 Depending on what type of gymnastics you do, some of the equipment you might use includes balance beam, trampoline, uneven bars, parallel bars or rings. Alternatively, you might avoid equipment and take to a mat with just a rope or ribbon to dance with! There are three types of gymnastics, artistic, rhythmic and trampoline, sometimes done with music, so you can work up a sweat and enjoy the music as well! Sounds good, right? Jumping around with music makes is a good excuse to try something new! You want to be able to move freely, so wear clothes that you feel comfortable in. Good news is, you don’t need expensive shoes as you can work out in your bare feet! If you think gymnastics could be your thing and you want to find out more, visit British Gymnastics website.